The Yukon in Canada is now officially one of my favorite places on earth. We LOVED the huge vast wilderness that is the Yukon. And if you’re going there, you will be stopping in Whitehorse – the only city in the Yukon. It’s a fantastic place to stop and spend a few days which is just what we did last summer. In case you’re considering doing the same, here’s a list of some great things to do in Whitehorse! Why? Quite simply and literally – there is no other way. There’s only one road that gets you into Alaska via land and that road goes through Whitehorse. Even if you decide to drive through the Cassiar Highway, you will eventually merge into the Alaska Highway and get to Whitehorse. The Yukon is a very special place, both in terms of views and its history. There is so much to learn about the area and so much to see and do there. And most of it happens in Whitehorse, the territory’s capital. There’s just not many other “places” in the Yukon, you see. 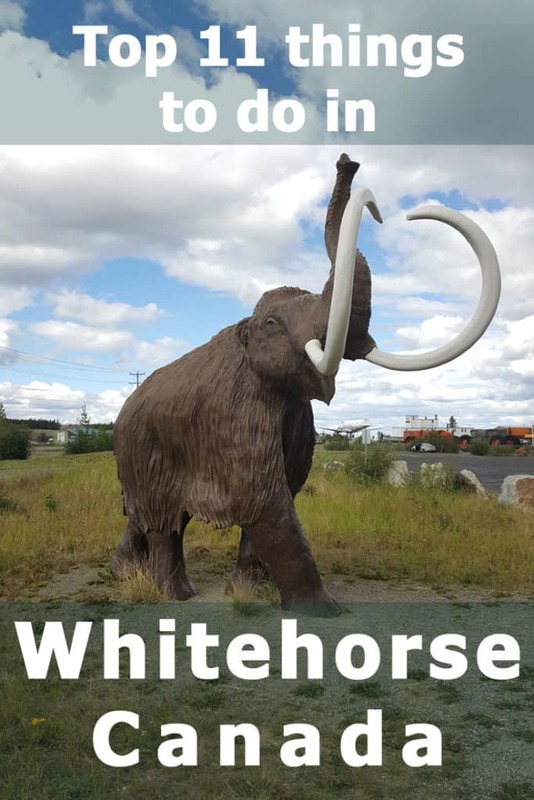 I’m going to post more about our own trip to Yukon but for now, I wanted to put together a list of places to see and things to do in Whitehorse, for those who may be planning a trip to that wonderfully remote destination. The Alaska Highway is a fairly new travel route. 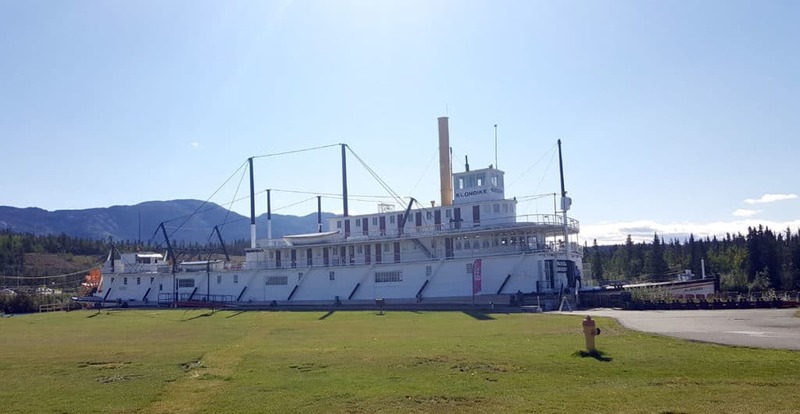 Up until the middle of the twentieth century, riverboats and sternwheelers were the principal modes of transportation between the Yukon and the outside world. The largest of all these riverboats is the S.S. Klondike. Today it permanently docks on the banks of the Yukon River in Whitehorse – restored and re-furnished. 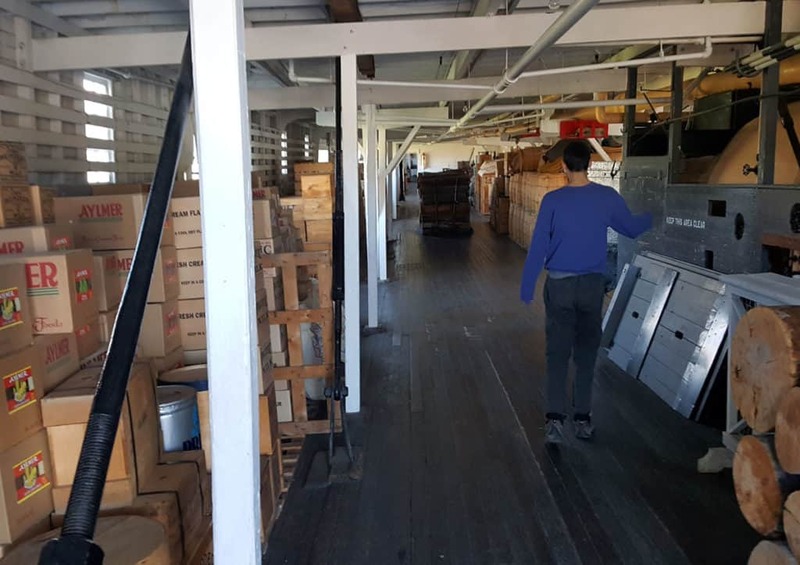 It’s a relatively short tour (1-2 hours) so for a taste of that period do include the SS Klondike in your list of things to do in Whitehorse. S.S. Klondike was in operation until 1955 because highways had already been constructed. Not a lot of people used the riverboats anymore. The S.S. Klondike later became a National Historic Site of Canada. Visitors get to watch an introductory film – with actual footage from the old days – before taking the self-guided tour of the S.S. Klondike. Opening Hours: It is currently closed but it will be open to the public from May 19 to September 4, 2018 from 9:30 A.M. to 5 P.M.
A gorgeous canyon to view and options free guided tours: that is exactly what Miles Canyon offers. We didn’t take the guided tours but reviewers on TripAdvisor say they’re great. The guides offer information about the history of the First Nations people, the Gold Rush, plants, animals, and geology of the place. The hike lasts for two hours and the free guided tours are at 10:00 A.M. and 2:00 P.M, Tuesday-Saturday. No registration required. Just show up at the Robert Lowe Suspension Bridge below the Miles Canyon parking lot. During the hike, at one point you will see the Yukon River up close. The hike is quite easy so children may join in on the fun. And again, we didn’t take the tour and enjoyed Miles Canyon on our own. As the photos show, it’s beautiful either way. Still, if you’re into guided walks, it’s definitely a worthwhile activity to take while in Whitehorse. Opening Hours: Tuesdays through Saturdays from 10:00 A.M. The Yukon Wildlife Preserve allows wild animals to roam freely in HUGE enclosures, with little to none human intervention. Unlike a zoo, the animals here have a lot of room to explore. Take a look at this photo. This is part of the Moose enclosure. It’s so huge, we could only see the Moose at a huge distance. 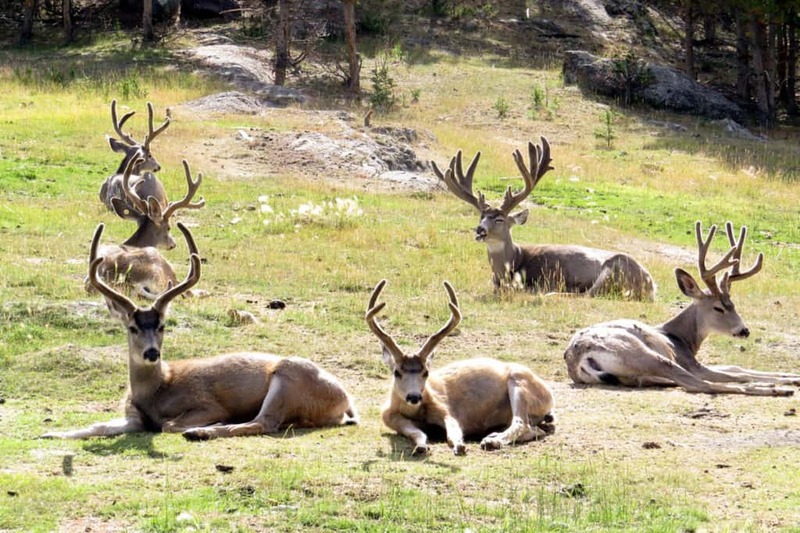 There are 13 species of animals at the sanctuary – all of them are native to the area. If you’re lucky, you’ll see some of them up close but bring your binoculars just in case they’re far away. 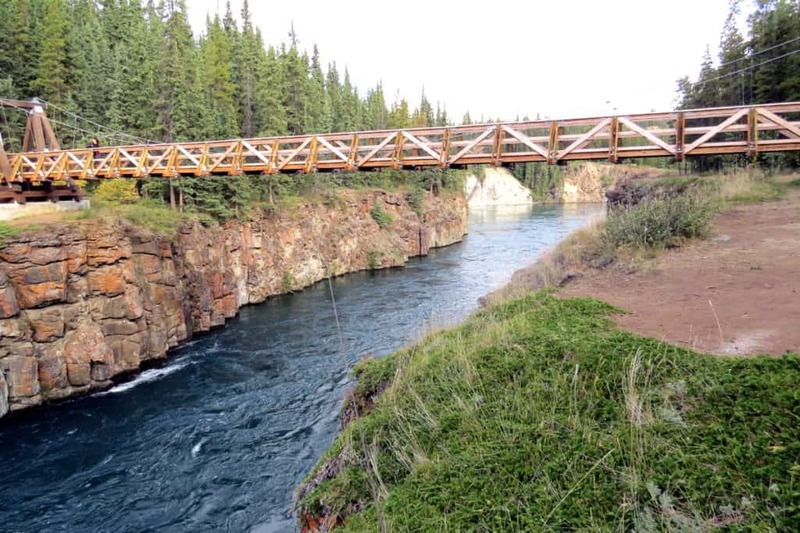 The preserve is close to Takhini Hot Springs, which is another tourist spot you will read about in this list of things to do in Whitehorse. 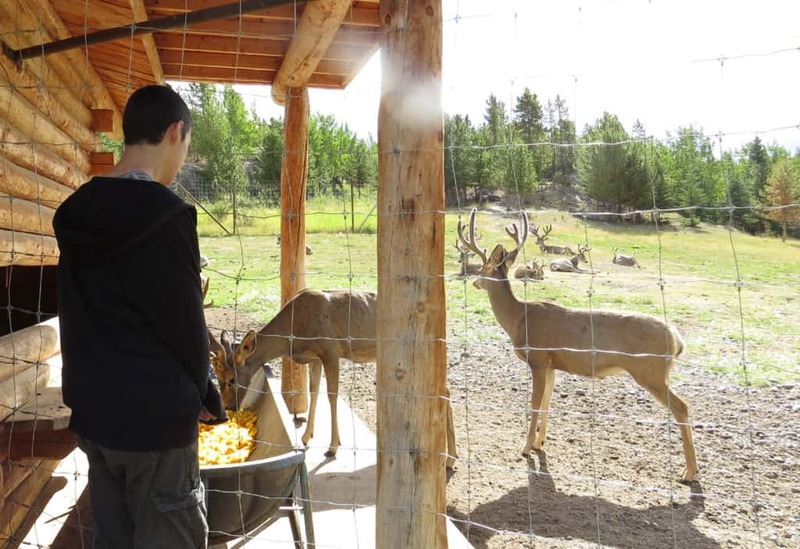 You could combine the two, though for us, visiting the Wildlife Preserve was great in its own right. It’s not a long drive from Whitehorse either. Bring some warm clothes and rain gear. You may need it even if the weather looked warm and sunny in downtown Whitehorse. If you’re visiting during winter, check with the preserve to make sure they’re open. Admission Fees: For Guided Bus Tours: Adults: $22 – 13 to 17 Years Old: $10 – Children aged 4 to 12 years old: $7 – Children below 4 Years Old Are Free – Seniors: $20. For Self-Guided Walking or Biking: Adults: $15 – 13 to 17 Years Old: $8 – Children aged 4 to 12 years old: $5 – Seniors: $12. One of our favorite things to do in Whitehorse! This is a research and exhibition facility that tells the story of the prehistoric Yukon, back in the ice age. A replica of the Bluefish Caves. She explained to us about Beringia – the ancient land bridge between Europe and North America which was formed during the Ice Age. Fascinating stuff. We then watched a short movie, again with explanations by our very knowledgeable guide. She then talked about the early humans that came through Beringia and that’s when the real fun began! 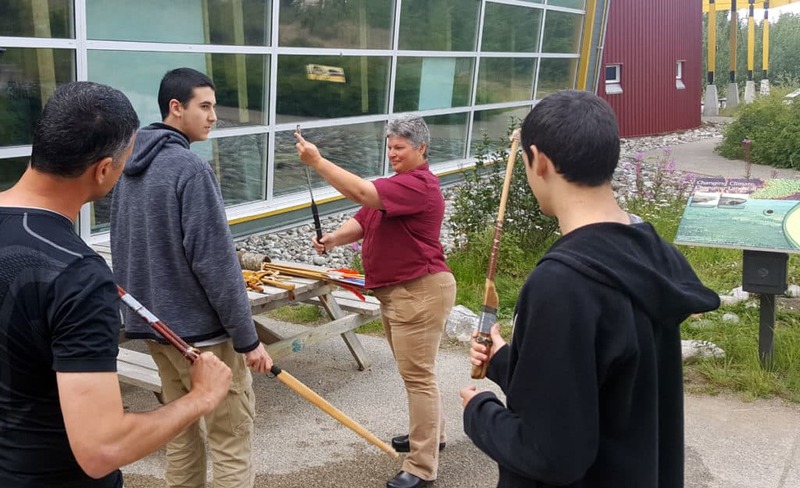 We all went outside and got to practice traditional weapons. This is probably how the prehistoric people hunted! After we “mastered” the weapons, we went “hunting” right behind the center. Each hunter could choose from several Ice Age animals and try to hit them with the traditional weapon he or she were assigned. What a cool experience that was! 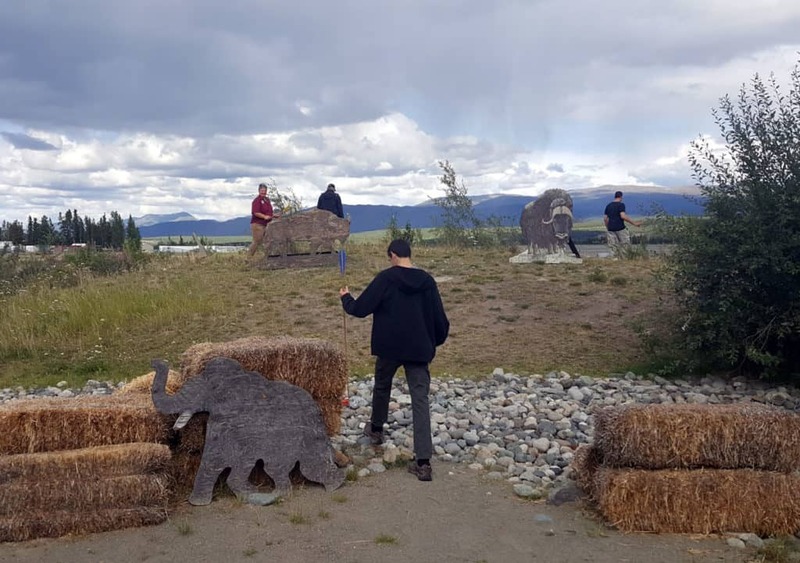 If you’re traveling with kids – and even if you’re not – this is definitely one of the most fun – and most educational – things to do in Whitehorse! Opening Hours: Summer Hours: Open Daily From 9 A.M. to 6 P.M. – Winter Hours: Open Sundays through Mondays from 12 noon to 5 P.M.
Want to know more about Yukon’s past? 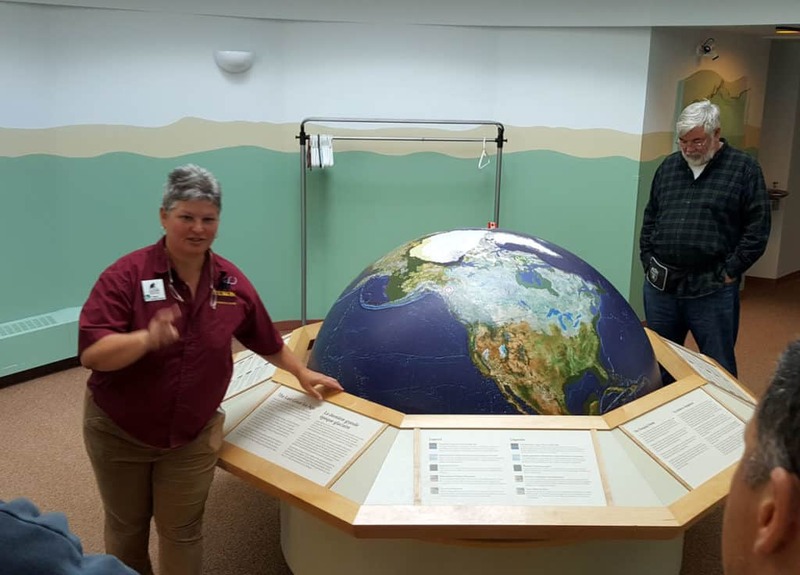 MacBride Museum is a great place for indoors exploration. Learn about the Gold Rush period – when Whitehorse was born – in the Gold to Government Gallery. During the summer, visitors may try one of the oldest professions in the area – gold panning. It also houses a Wild World Gallery where you can see a stuffed seven-foot grizzly bear. Opening Hours: Open Daily – Summer Hours: 9:30 A.M to 5:00 P.M. – Winter Hours: 10:00 A.M. to 4:00 P.M. 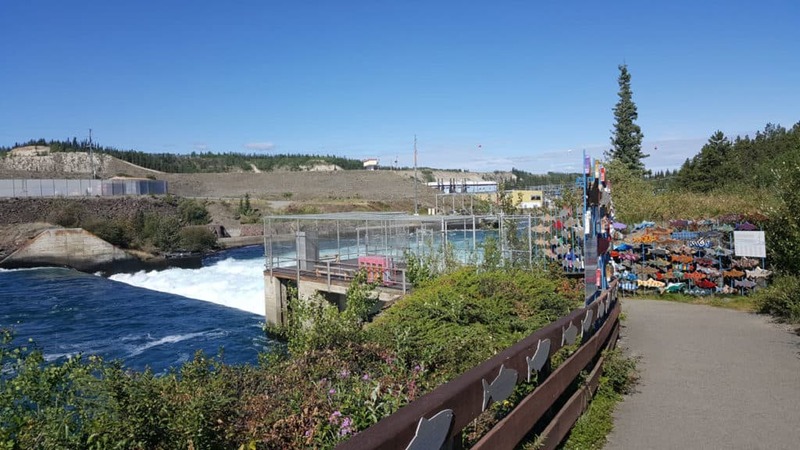 Although we never visited the Takhini Hot Springs, I had to include it in this list because it’s definitely one of the most popular things to do in Whitehorse. It’s a short drive from the city center so do check the map (included in this post). 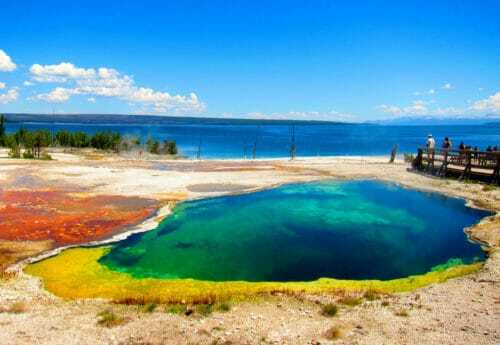 The hot springs pools are around 36 to 42 degrees Celsius and the water is natural and rich in minerals. 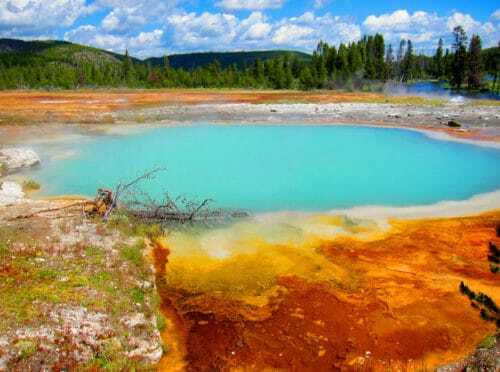 No need to worry about the smell of sulfur since the water is from deep within the earth and does not contain that smelly mineral. There are two hot springs pools in the area. One is 4 feet deep and the other is 6.5 feet deep. 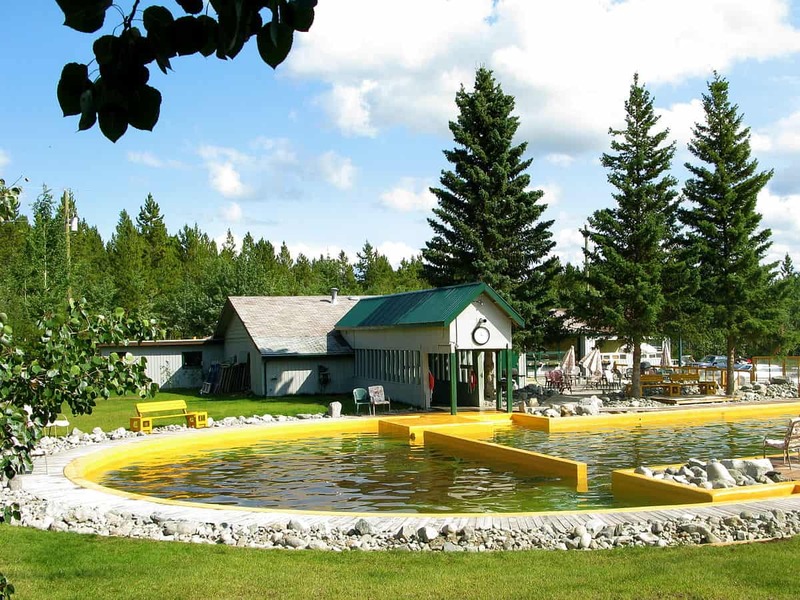 Children are allowed in the area but Takhini Hot Springs require adult supervision for them to enjoy the pools. They also require clean indoor footwear to be used especially while inside the area so bring a pair of jelly shoes with you. What makes Takhini Hot Springs more relaxing is the great view of the mountains. During winter, these are draped with snow and you can enjoy your soak in stunning scenery. Takhini Hot Springs also offers guests one of the best places to view the northern lights during winter. And yes, they open during those times so you can watch the midnight lights from the pool. Opening Hours: Daily from 12 noon to 10 P.M. The Yukon Transportation Museum brings life to the stories of people in the area on how they moved around in this hostile environment. The area has a vast landscape and the seasons are always changing so people had to adjust how they moved from one place to another. With hardly any roads, this is mostly a story of airplanes. You can learn about the brave bush pilots struggled to help these remote communities stay in touch with the outside world. The displays are huge and detailed replicas of the most significant modes of transportation. This helps you get a feel of the transportation evolution in Yukon for the past 100 years. Opening Hours: Summer: Mondays through Sundays from 10 A.M. to 6 P.M. – Winter: Sundays and Mondays only from 12 noon to 5 P.M. The center is another gem of many things to do in Whitehorse. 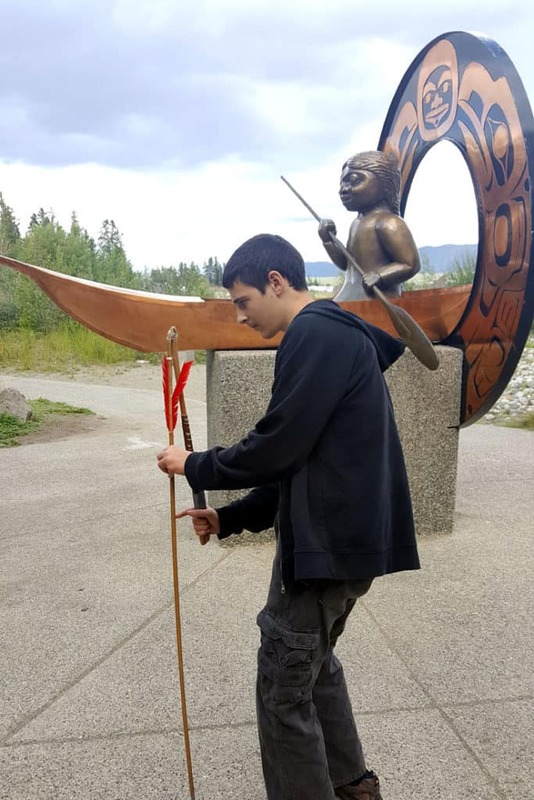 It educates visitors about the life and struggles of the Kwanlin Dun First Nation through displays of art such as carvings and beadworks. There is also a library, talks, and shows (check website for details). Right in downtown Whitehorse, you can pop in for a quick tour or call them and organize a more detailed guided tour. Opening Hours: Mondays through Fridays from 9:00 A.M. to 5:00 P.M. If you want to experience a huge collection of locally crafted brews and spirits, stopping by at the Yukon Brewing Company would probably be one of the highlights of your trip to Whitehorse. People also recommend this place as the best place to get beer from if you are out camping and you just want to relax. More on the brewing company, it opened in 1997 under the name Chilkoot Brewing Co. Ltd. The owners thought about opening the company while they were on a canoe trip. They wanted to serve the area with quality beer while bringing food to the table. They were successful in reaching that goal, apparently. The tour is only at 2 P.M. Some of the beers, whiskey, and spirits may not be found anywhere else so it is great to take some home to your families and relatives. They give samples so you can choose what suits your taste best. And as you may note, we didn’t visit them ourselves. We don’t really drink much and traveling with kids, this was not on our list of things to do in Whitehorse but it definitely may be in yours! We love visiting fishaways and fisheries. 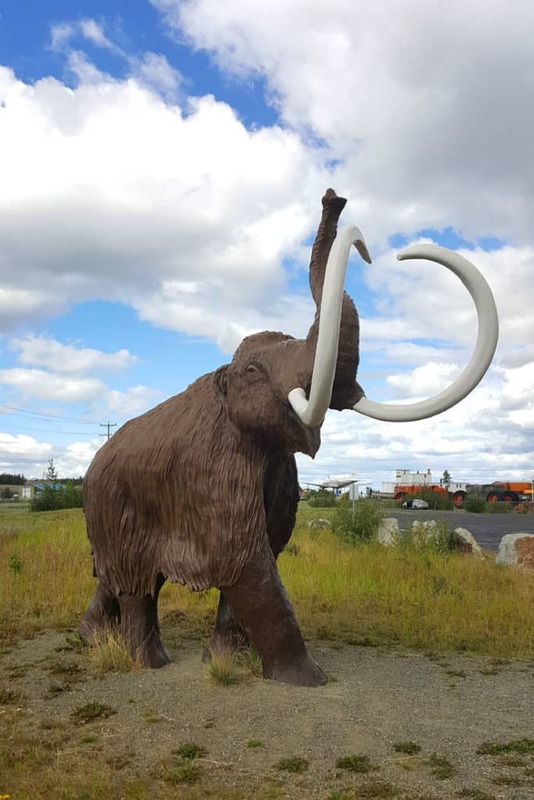 If you’re traveling with kids, this one is an awesome littler attraction to add to your things to do in Whitehorse. Do it even if you don’t have kids with you. This isn’t the first fish ladder we visited but in case you’ve never visited one, here’s what a fishway or fish ladder is. In a word: Salmon. Salmon hatch from their eggs in rivers, swim out to the ocean where they spend several years growing. When they become big fat salmon that are ready to bring the next generation of fishies into the world, they go back home. They swim against the currents back to the exact riverbed where they hatched, mate there and lay their eggs. And then they die. Salmon is crucial for the local economy across the entire continent. So humans make a point of helping the fish across the new artificial obstacle. They do that by building small canals next to the dams where the fish can traverse small steps to get to the other side of the dam. This is known as a ladder or fishway. 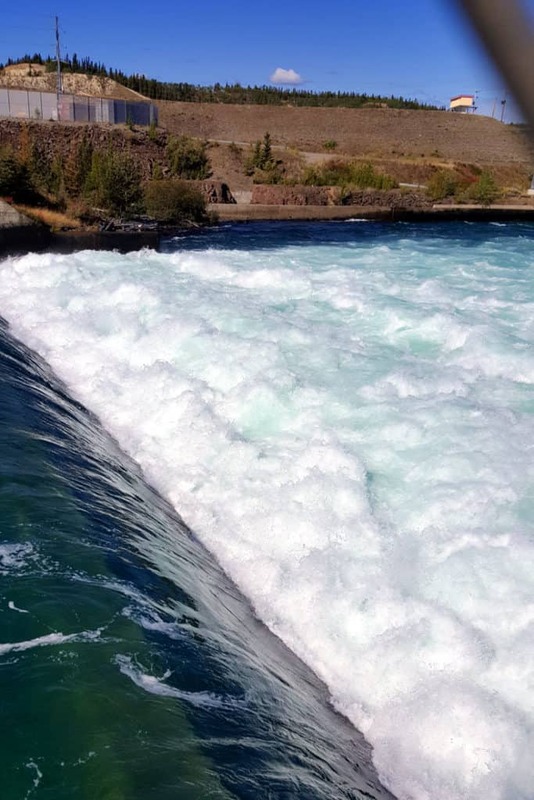 The Whitehorse Fishway ensures that the Yukon River Chinook salmon will survive. 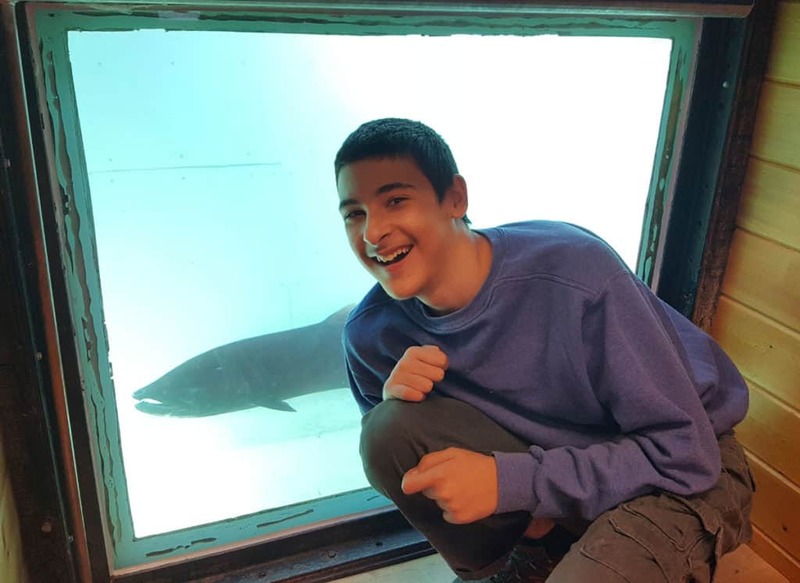 When you visit, you can view the fish through the underwater window as they make their way up the ladder. Guides will tell the visitors more about the salmon and other species that may be found inside the viewing area. They even let you take part in fish tagging. We almost did that but the fish “tagger” was late and we had to leave before he showed up. We did take a walk outside along a lovely path that takes you to the dam. Lots of informational boards along the way, and some local salmon-inspired art too. And of course, viewing points from which to see the fish in the ladder. 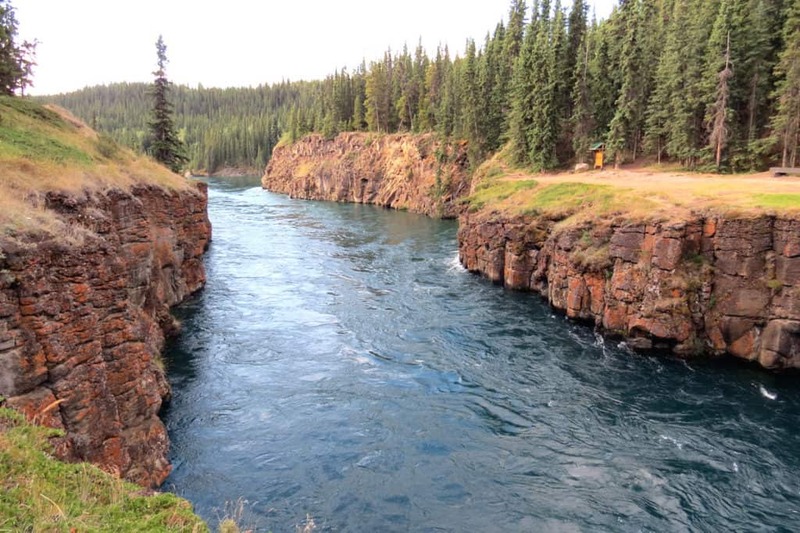 It is best to visit the Whitehorse Fishway between late July and early September to see the most fish. Oh, you have no idea how awesome this visitor information center is. And it’s not the displays and brochures (though they are nice!). It’s the WiFi! 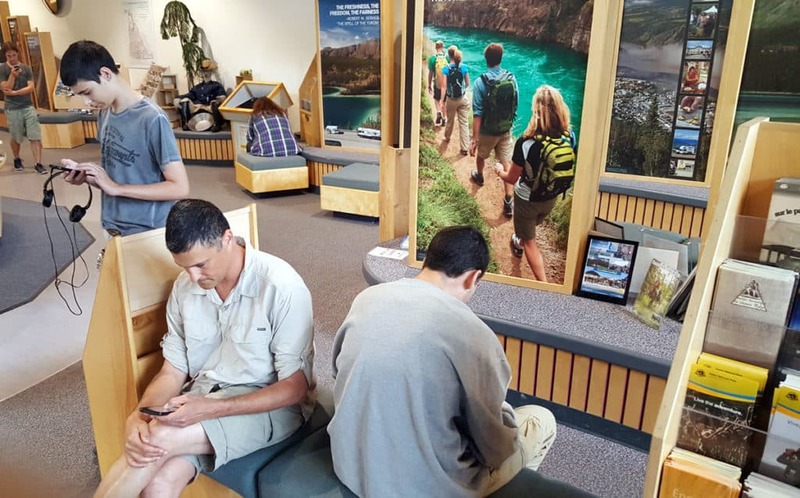 Having traveled for two days along northern Canada roads without any internet whatsoever (no cell coverage and no internet to speak of in the motel), this visitor center felt like an Oasis of fresh, flowing data! We clearly weren’t the only thirsty nomads. The place was packed with people hovering over their phones and laptops. We couldn’t get any data coverage in Whitehorse, so we actually returned here daily to get some good WiFi. I do believe this was the top attraction for the kids’ list of things to do in Whitehorse. And yes, it’s also a great visitors information center. If you want to know more about Yukon and the places you may visit, talk to the people there. They can give you information about the locations you want to get to such as opening hours, fees, and ratings. There are brochures, maps, and a video presentation about Whitehorse. As promised, here’s a map of all the things to do in Whitehorse that are listed in this post. If you want to see which is which, click on the little icon in the top left corner of the map. That’s it! I plan to write more posts about Whitehorse and our visit there. If you have any questions or anything to add, please do leave me a comment – thank you! 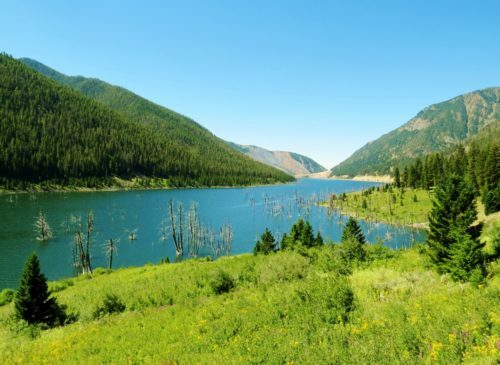 Quake Lake: See It While Visiting Yellowstone!